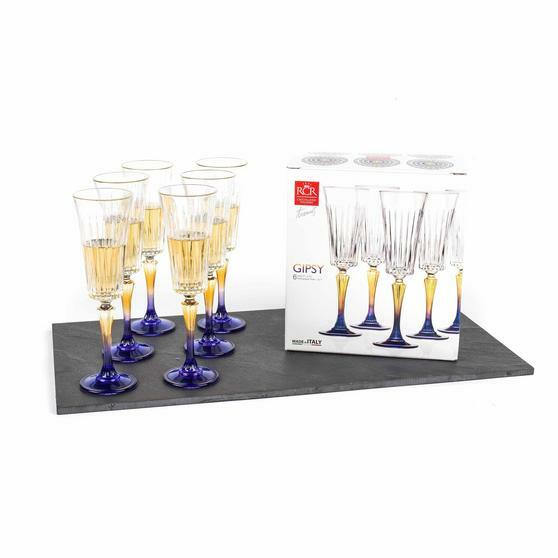 These beautiful champagne flutes and wine glasses are the perfect choice for celebrating a special occasion. 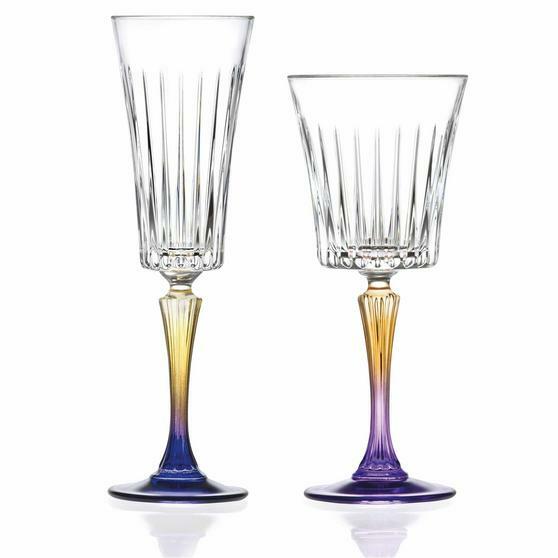 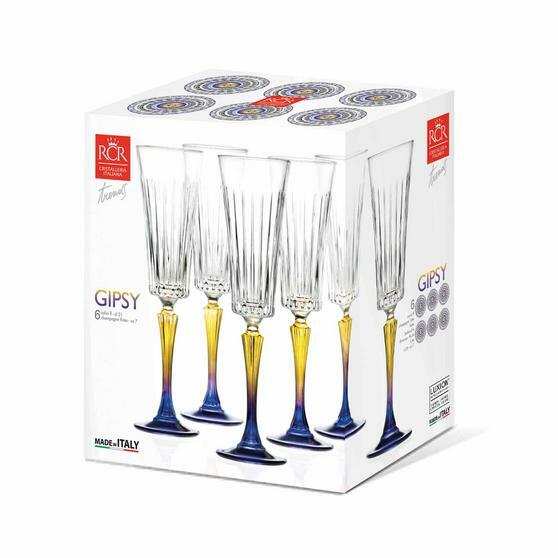 Made in Italy, the exquisite Gipsy design is ideal for a dinner party or special event, the innovative glasses have shades of bright colours to bring your tableware to life. 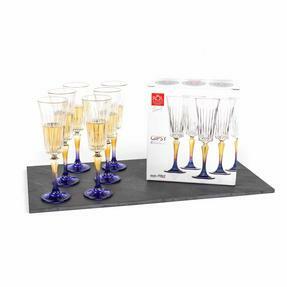 Made from Luxion crystal the glasses are practical as well as elegant, they are dishwasher safe for effortless cleaning. This set of charming champagne flutes and wine glasses are a fantastic addition to any home. 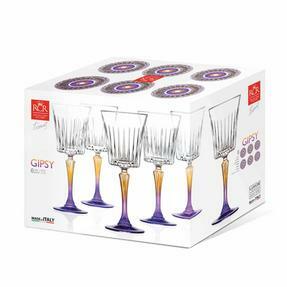 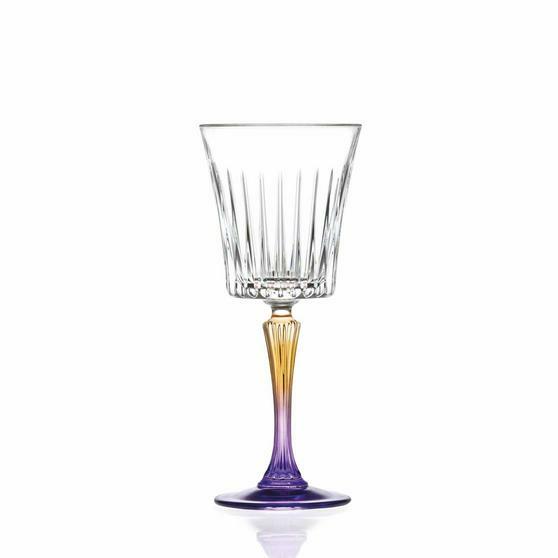 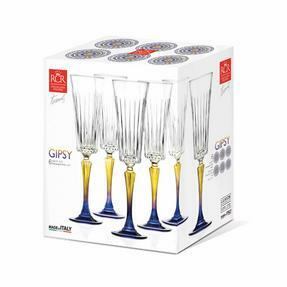 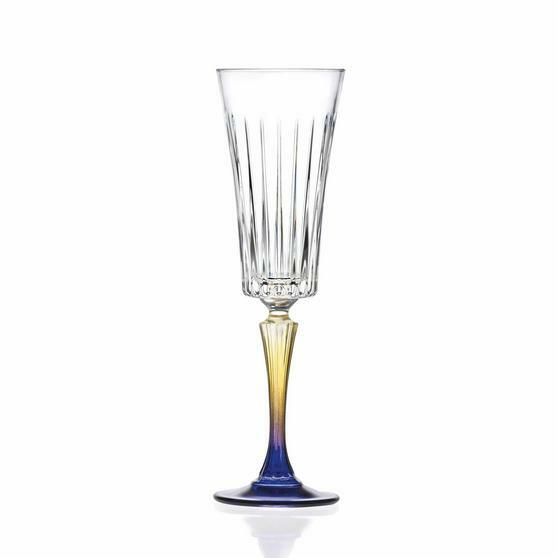 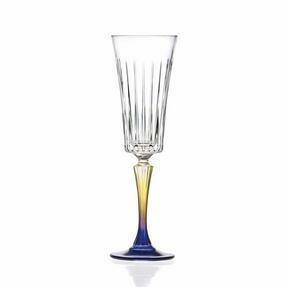 This set of RCR glasses includes 6 champagne flutes and 6 wine glasses all of which are made from beautiful coloured Luxion crystal. 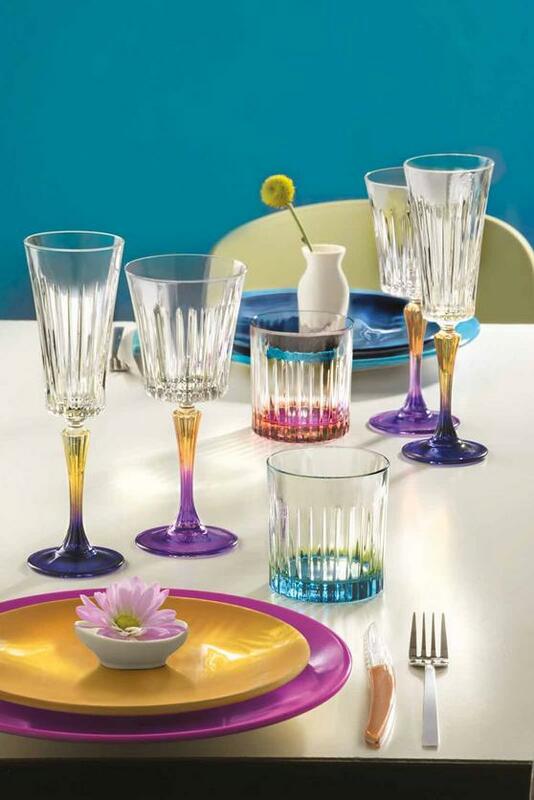 Made in Italy, the glasses have a wonderful mix of eye-catching colour to give a traditional stylish glass a modern twist. 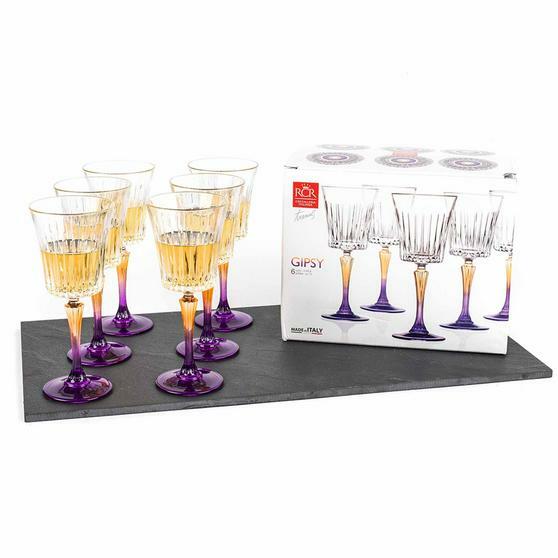 The set ensures you have the perfect glassware for any occasion so you can enjoy wine or champagne in style with friends. The perfect gift for a special occasion or a treat for yourself, this wonderful set of glasses will add luxury and sparkle to your home.